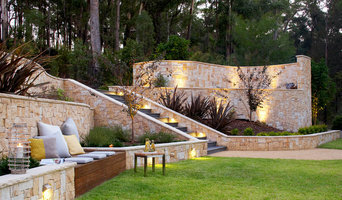 Bell Landscapes is a leading boutique garden design, installation and maintenance firm based in Sydney, NSW. Our primary focus is private residential homes and boutique commercial projects. We are the go-to company for many of the countries leading architects, designers and clients seeking a seamless, one-stop service from concept design, installation and ongoing professional maintenance. Bell's business model is specifically tailored to suit quality conscious, yet time poor professionals who appreciate great service, communication and workmanship. We firmly believe that every site, project and client is unique and both the design and function of the landscape should embrace and reflect this. We have carried out large projects both locally and interstate and pride oursleves on a flexible, client focused, professional service. MUSA Landscape Architecture, led by Ryan McMahon, provides an industry leading landscape design service throughout Sydney, creating innovative classic but sustainable landscape designs. With over 10 years experience designing landscapes and with experience in all design stages from the initial design consultation and concept design leading to the creation of the detailed design drawings and appointing a trusted landscape contractor, MUSA Landscape Architecture is the ideal choice to help you achieve a landscaped outdoor space for your home or development that will exceed your expectations. 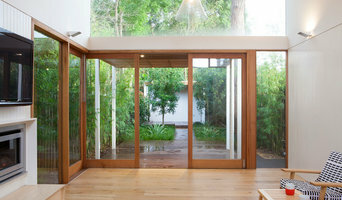 OUTHOUSE design is a unique landscape design consultancy having been awarded the coveted National Design Excellence Award, by the Australian Institute Of Landscape Designers and Managers in 2017 and 2016. We have a clear focus on creating bespoke landscape solutions for our clients. Tig Crowley Designs delivers imaginative and ecologically conscious landscape design, consultancy and management services. Our designs are centered on natural and ecological principles featuring low-maintenance, low-input, economical and invigorating spaces and landscapes. Our clients are based within the Sydney basin and regional NSW and our work include both private and public projects, ranging from residential, multi-complex, rural estates and public works and spaces. Tig Crowley is an award-winning landscape designer and horticulturalist with a comprehensive knowledge and interest in regenerative land management principles and practices. In addition to being aesthetically pleasing, functional and tailored to our clients’ lifestyles, our designs seek positive environmental outcomes by enhancing ecosystem and increasing biodiversity. We are a Sydney based landscape design and construction company with a passion for gardens and outdoor living. We enjoy collaborating with our clients and are committed to building our clients a beautiful life outside, quite literally from the ground up! Whether your outdoor project is a large scale garden or a smaller courtyard, patio or balcony we can help you maximise it's potential. We strive to create outdoor spaces that are beautiful and inspiring and that complement our client’s lifestyle. We offer a complete landscaping solution, from initial consultation and design, through to construction, styling and ongoing maintenance. This means you have the added convenience of dealing with just one contractor for all your project needs. Over the years we have built a network of competent and trusted subcontractors and suppliers, ensuring the end result is not only unique, beautiful and practical but also delivered with minimal fuss. You can see our gardens thriving, hear our water features running or smell the food sizzling in our outdoor kitchens along the streets of Sydney, Sydney’s north shore, eastern suburbs and inner west. We would love to chat to you about your next outdoor project. Pepo Botanic Design is a team of landscape designers, landscape architects, visual artists, horticulturists and construction professionals. The team have worked with hundreds of clients to develop their gardens, courtyards, balconies, restaurants, rural retreats and outdoor spaces. 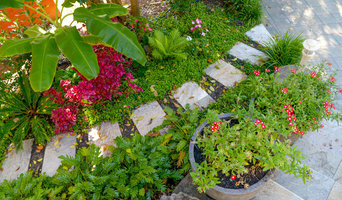 The company has developed a reputation as a popular choice for people wanting a creative approach to landscape design as well as adding value to their lifestyle, home or business. Pepo offers a complete landscaping service specialising in, landscape architecture, garden design, horticultural consultation, plant selection, construction and maintenance. ROBERTS BREWER DESIGN PROVIDES BESPOKE LANDSCAPE SOLUTIONS TO ENHANCE THE EXPERIENCE OF PRIVATE RESIDENTIAL HOMES, MULTI-UNIT DEVELOPMENTS, COMMERCIAL & RETAIL DEVELOPMENT, & PUBLIC DOMAINS. To exceed expectations and ensure an enjoyable experience from design through to completion, Roberts Brewer Design incorporates: CREATIVE APPROACH Our creative approach focuses on fusing art together with functionality & culture to deliver inspired, integrated & innovative places. We provide new & innovative ideas to support design development, influenced by best practice & new leading edge solutions. BESPOKE DESIGNS We believe that every design & approach is unique, so our personalised approach ensures we deliver bespoke designs that are specific to the individual brief & requirements for every project. HANDS ON PROCESS & ADAPTABLE DESIGNS Our iterative & adaptable approach ensures the experience of bringing your dreams to life is an enjoyable one. We will work with you to understand your design intentions & requirements, & to ensure you are comfortable with all aspects of the process & design. We also ensure alignment of design & delivery through strong collaboration with any relevant contractors & consultants. EXPERTISE IN DESIGN THROUGH CONSTRUCTION Our experience in all aspects ensures that construction requirements are integrated with design considerations from the beginning of every project. It also enables us to liaise with any contractors or consultants to ensure that even the smallest details are not missed & design intentions are delivered, even if changes are required through installation & construction. HANDOVER DOCUMENTATION We ensure that you can enjoy high quality environments for years to come by providing comprehensive yet simple handover documentation to support maintenance of the space. COMMITMENT TO EXCELLENCE & QUALITY Our focus is on enriching environments through high quality designs to create enjoyable spaces, & that high quality outcomes are achieved on time & within budget. Creativity, Practicality, Balance and Beauty is our motto and our talented and experienced landscape designers provide a range of services to suit your needs. At Stylish Gardens we design, construct and care for your garden. We will guide you through your project from beginning to end to make sure you achieve your designed outcome. We truly do care for your garden, and we can take care of everything from the start through to ongoing maintenance and care to keep it looking its best. Landskapsarkitekter i Waterloo jobbar ofta med offentliga miljöer, som till exempel stadsmiljöer, parker och vägprojekt. Utbildningen för en landskapsarkitekt är på 5 år och ger en magisterexamen. I Sverige finns det två skolor som erbjuder den här typen av utbildning, Alnarp i Skåne eller Ultuna utanför Uppsala. Under och efter utbildningen sätter du ihop en portfolio som visar vad du kan som landskapsarkitekt. Med det sagt, så kan såklart en landskapsarkitekt även assistera i privata hem, och inte bara i offentliga miljöer. Nja, inte riktigt, även om många tycks tro det. Det är lite rörigt, för förut kallades landskapsarkitektur för trädgårdsarkitektur. Dock har titeln trädgårdsarkitekt kommit tillbaka med en lite ny innebörd. Trädgårdsarkitekter är mest inriktade på villaträdgårdar och deras design. De fungerar i vissa fall som trädgårdsplanerare som tittar på befintliga trädgårdsritningar och gör. Ibland får du designa en trädgård och ta fram en helt ny trädgårdsritning. Många trädgårdsarkitekter i Waterloo jobbar med trädgårdsdesign som egenföretagare. Vi hoppas att det går bra med att planera trädgården, oavsett om det är en stor botanisk trädgård eller en i förhållandevis spartansk villaträdgård. Förhoppningsvis så hittar du även just den trädgårds- eller landskapsarkitekt i Waterloo, NSW, AU som sökes. Lycka till!